At Orange County Plumbing Heating & Air Conditioning we have over 50 years of experience in both residential plumbing and commercial plumbing industries. 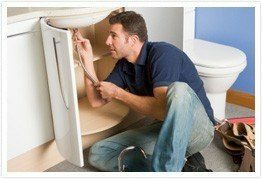 We are experts in providing plumbing, heating and air conditioning services and dealing with the most complicated plumbing issues, including clogged drains, sewage and septic problems. There are many reasons for your drains to get clogged and commercial cleaners for blocked drains do not always help. Contact us at Orange County Plumbing Heating & Air Conditioning in case if your drain gets clogged. Our team will come to your door immediately, evaluate the damage and repair costs, and fix the problem. When it comes to plumbing, heating or air conditioning issues in Laguna Woods, our clients can totally rely on our skilled technicians for quick, friendly and well-organized service. Call us if you require any plumbing/heating installations, maintenance or repairs. Receive $20 off any service in the city of Laguna Woods!